This restaurant is permanently closed. This restaurant is permanently closed. 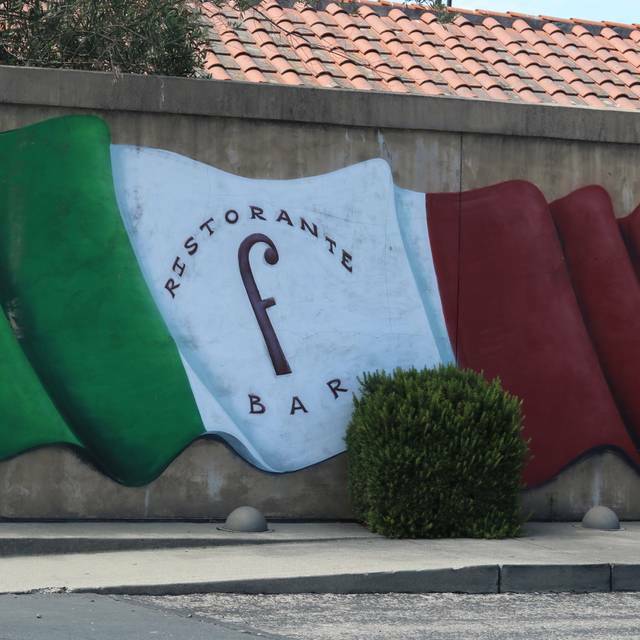 Frantoio Ristorante has been independently owned and family operated since 1995. 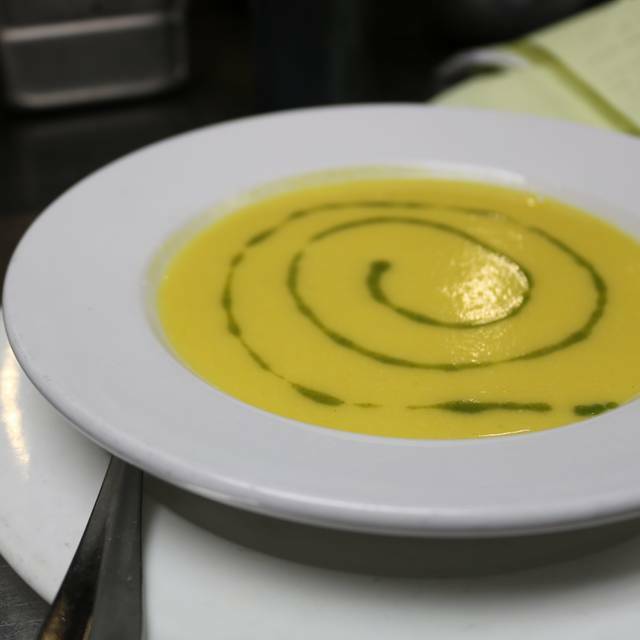 We use locally sourced organic non-gmo ingredients, bringing the best Marin has to offer to our traditional northern Italian cuisine. Balancing our menu is our extensive wine list that showcases some of the best Californian and Italian vineyards. We offer a full-bar, 2 private dining areas as well as outdoor seating. Our pastas, breads, desserts and pizzas are made in house from scratch. We are conveniently located off of Hwy. 101, five minutes from downtown Sausalito and five miles from Muir Woods. Grazie Mille!! 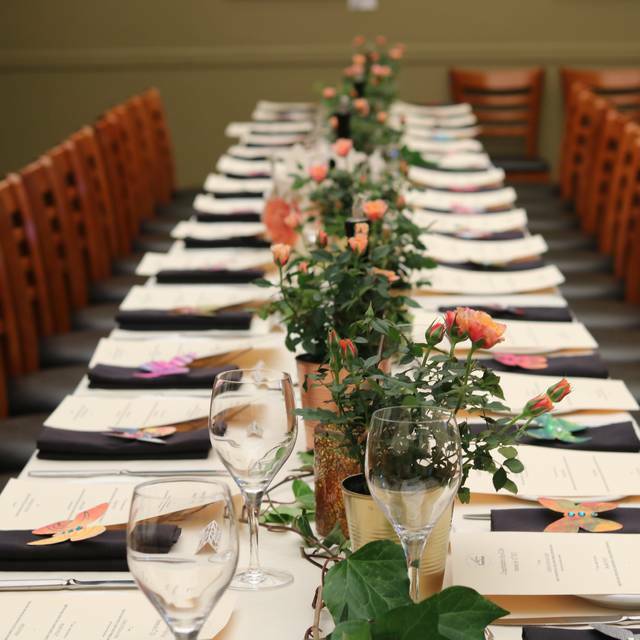 Our restaurant can accommodate functions of all sizes and occasions of all types. We offer full service sit down meals, buffets, and family style selections. Came to say goodbye to a favorite restaurant! So sad it’s closing! We are so very sorry that Frantoio is closing. It has been a very special place for us for many years. It will be hard to replace. We hope that the staff will be reunited at a different place. We should have returned to Frantoio sooner!! Great ambiance and service and the food was delicious. All three of us had the. caprese salad special and it was outstanding. Chicken, superb pasta and good well-priced wine finished the meal. A hidden gem in Mill Valley! Another lovely birthday dinner celebrated at Frantoio. Fantastic food and drink. Wonderful service. So very bummed that Frantoio is losing its lease and closing. Hoping hoping hoping they will find another location in or near Mill Valley. Thanks for all the greatness over the years!! We are always pleased with the food and service at Frantoio's! It is OUR place where we know there will be great service and interesting meal choices. They make their own olive oil and it is good enough to buy a bottle and take home for our cooking! Great wine too!! We highly recommend Frantoio's! For many years my husband, son, and I shared happy weekly meals at this upscale restaurant where service was impeccable, the food was divine, and the ambiance inviting lively conversation. In the last four years, each of these elements has worsened unimaginably. My recent dinner there with a close friend was a disaster. The stylish dining room no longer shone with care; the enormous fresh bouquets of prior years had been replaced by fake quince bouquets dusty and awkwardly askew; our dining table was dirty with some old crusted slop from a previous diner; the only waiter on the floor was someone we had always avoided before, but this night there was no choice. He is slovenly and rude. He came to ask about drinks 25 minutes after we were seated. His rude attitude and comments are not worth repeating here, but it took another 25 minutes before I could get his attention to order. (There were only four tables of 2-4 in the dining room, so it's not because he was too busy.) When the food came, things only got worse. My scallops on a bed of chard were so covered in truffle oil that both were inedible. Someone in the kitchen must have thought that - since truffle oil is so "special," they would treat me to a bucketful. No, I didn't turn it back. My appetite was spoiled. I couldn't get out of there fast enough. How sad to see a place we had loved so thoroughly ruined by cost-cutting, a lack of simple cleanliness, and inexplicably rude service. Never again! 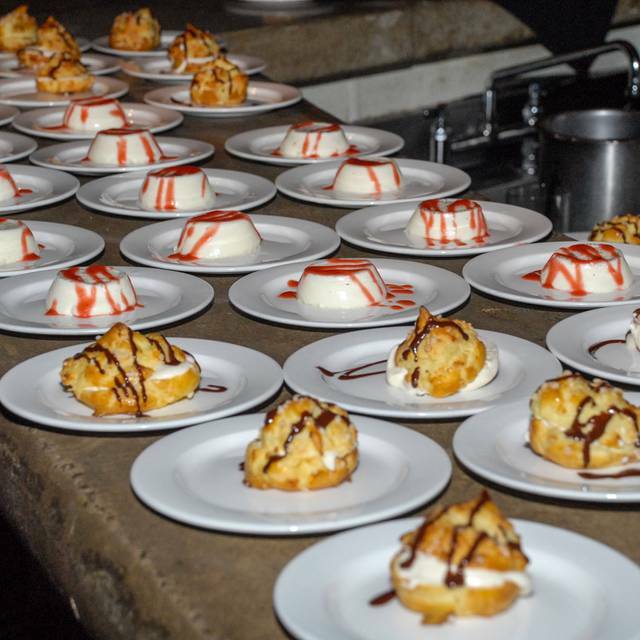 How to take a nice setting serving delicious food and diminish the experience? Have a surly, dismissive waiter. We would go back to Frantoio any time we are back in the area, but if Jamshid comes up as our server, we will ask to change waiters. Once inside, Frantoio was a calming space of efficient activity. The pace was just right and the foods excellent. The service was attentive without being forced. 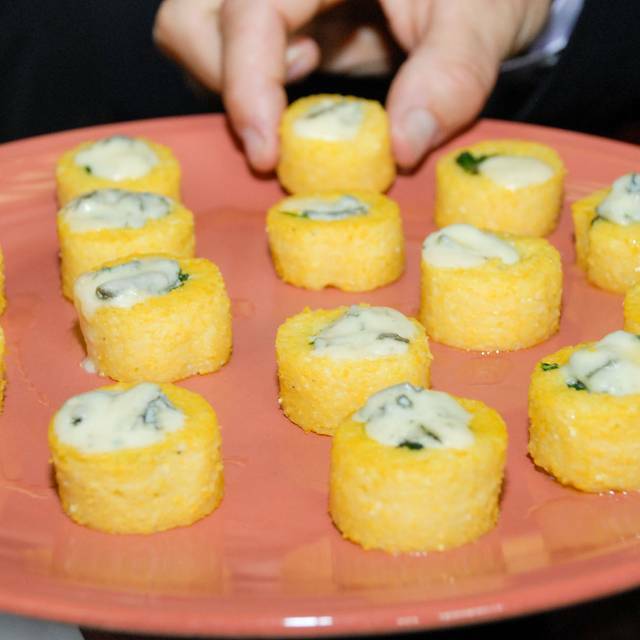 Both of our entries were perfect and both servings were a nice size - not too large, or too small. The wine choices were good. Since we were there ahead of a play in Mill Valley, we didn't try any deserts. The fish special suited my tastes to a T. Swordfish and probably sea bass impeccably broiled, crispy on top, delicate inside combined with my favorite vegetable, spinach sautéed deliciously and mashed potatoes that were very flavorful. Most satisfying meal accompanied by a generous pour of chardonnay. My friend had a scallop risotto special that could have used more scallops but looked delicious. The noise level was low so we could chat comfortably, which is not often the case. We shall return. Always an enjoyable experience. Wonderful fresh focaccia bread, homemade olive oil, top quality food and service. 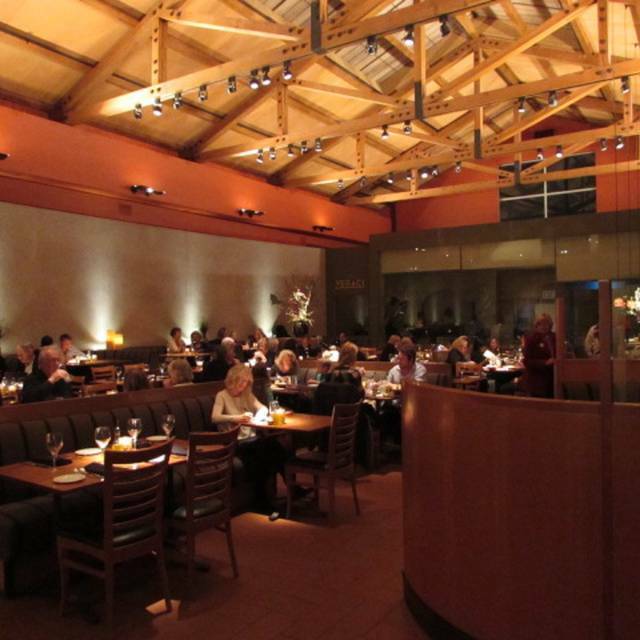 Hands down, our favorite Italian restaurant in Marin County. 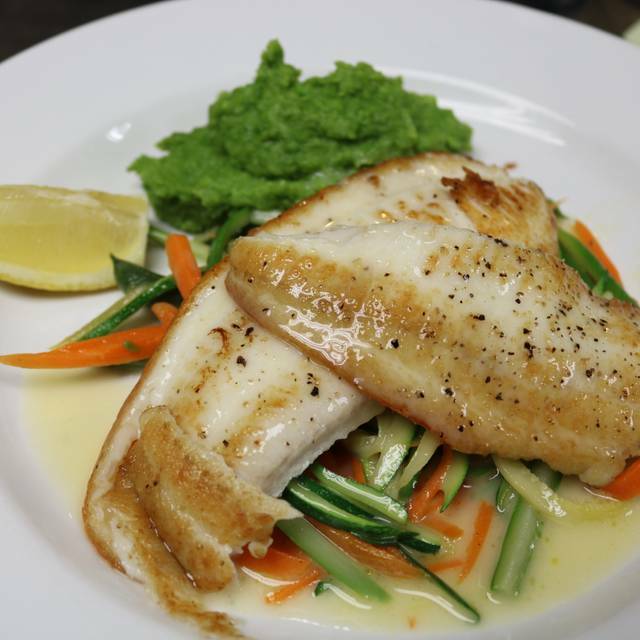 Delicious pasta dishes, wonderful fish entrees’, stone hearth pizzas, a nice selection of meats and poultry. We had a wonderfully delicious dinner at Frantoio Dec 29. Omar was our server and he was excellent. He recommended dishes and his recommendations were perfect! I highly recommend Frantoio for a date night, group parties in the Green Room, etc! No one served us. We waited for 20 minutes and then left. Very disappointed. Ambience was pleasant, waiter friendly and helpful. Service leisurely but that contributed to the relaxed mood. The New Zealand lamb chops were excellent, the presentation elegant, cabernet very nice, dessert (afagato with dark chocolate shavings) fabulous. The food here is always excellent.On this visit our waiter was Omar, and he was extremely helpful. He explained what was in the dishes and was very helpful in describing the wines. The dishes we chose were very delicious and the wine was perfect. We have found wines here that were so good that we now buy them by the case for home use. I recommend this restaurant to everyone. Nice ambiance but the food was underwhelming especially the calamari & beet salad. The pasta was so-so. We had a party of 4 and no one really enjoyed their meal. Always consistent! Good food and great service. They had the A team working on Christmas Eve. 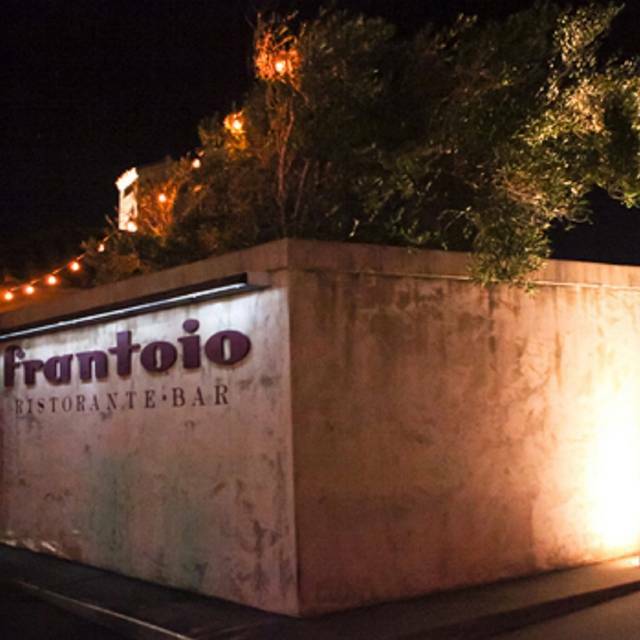 The food and experience at Frantoio is still good, however the service was lacking recently which dampened the experience overall a bit. The dishes haven’t changed much over the last 10 years and they need to boost that up. The standards are very good but more specials or some changes and a more expansive menu would be a boost for them. They need more salads and desserts options as well. Good restaurant, nice ambiance, great for groups and not too loud! Always a good experience. My favorite dishes are the tagliatelle with rabbit ragu and the scallops which are perfection! Service was again very slow. Waiter was inattentive. Had to flag down busboy several times to locate waiter. Chicken picatta was excellent. Steaks were mediocre. Overall, poor service and inconsistent food. As always, great food in restful environment. No overpowering background music. Good service. The waiter was amazing. The food was delicious and the ambiance was perfect. It was a bit too loud but we expected as such given the high ceilings. Frantoio is still a best kept Secret, nestled back a few minutes from 101 in Tam Valley. The food is excellent, the ambiance is perfect for dates, socializing or just having a night out for dinner. What I love about this place is that you don't feel like you're crammed into small space like some of the other restaurants near by. Always love dinner here- local spot, so guaranteed to run into a couple of friends. Great bar, consistent quality and lovely wait staff. Very busy last week, so service was a little slow. No big deal- enjoyed our Manhattans and the wonderful bread and house made Olive oil! Nice Italian restaurant - place for a special event - too pricey for everyday dining. Everyone’s food was very, very good. Generous portions and nicely presented. It was just a little slow on service as there seemed to be only one waiter for the entire restaurant and we were put in a very quiet, sterile side room so did not have service for long periods. We did request a quiet table but it was too quiet and that there was no one else in this room which was brightly lit and very sterile. We actually would’ve preferred the main dining room which we expressed but it was all set up for us in this side room. The isolated room probably contributed to the lack of service. It was okay until we tried to order dessert and we had informed the waiter that we had play tickets. He took so long to return that we left without having dessert. Party of 4 had a corner booth that was perfect for conversation. Our reservation was at 7 and we lingered until after 10 pm. Food and service were great. Staff was very accommodating. Busy Saturday evening. Table ready on-time matching our reservation. Slow service based on a full crowd. Had drinks, but had to ask for bread while waiting for dinner. Waiter impatient based on too many tables. Restaurant was noisy. Great service and delicious high end Italian cuisine. Definitely will return. This restaurant never disappoints. It is spacious, service is attentive, great location right off freeway, quiet atmosphere so possible to have conversation without loud chatter or loud music. For us it is a frequent stop. We had a great dinner and didn't feel overwhelmed-portion sizes were good. We were so lucky....came at a time when it wasn’t filled and noisy yet and got a great booth. Our waitress was great, got our order in and within minutes we all had our salads. My husband and I split a Caesar and it was perfect-not over powering dressing. Our host had the beet salad-also very likable! We all cleaned our plates on those dishes!Their basket of bread has focaccia strips that are warm and wonderful, plus small slices of warm sourdough baguette. Next came our main course. Our host had raves that on her previous visits she’d enjoyed the scallops. So, we ALL ordered them! 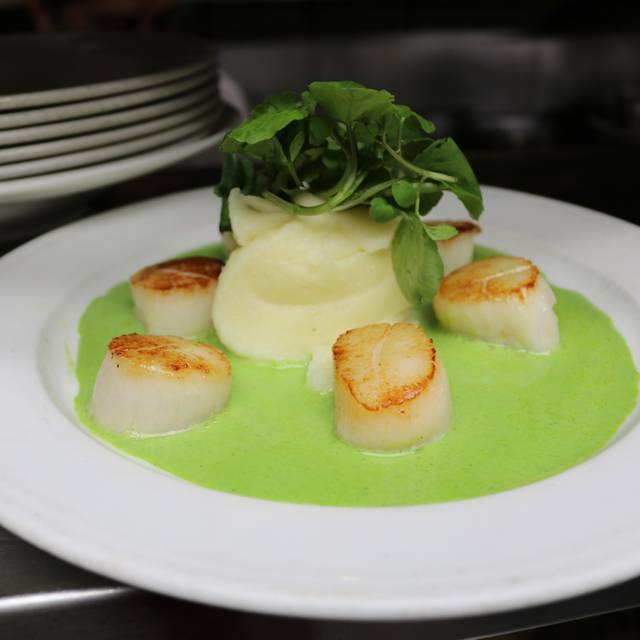 Ample on the plate, presented beautifully on a swirl of mashed potato and frisée lettuce with the scallops sitting on top of a green sauce. None of us had a problem eating every morsel! The scallops were cooked to perfection! After dinner we all enjoyed a decaf latte, made perfectly as well. We wanted a little something sweet, but not really a dessert, so we each had a treat of two mini biscotti each. Something that only comes with their gelato, so we really appreciate them accommodating us. The table was bussed & refreshes quickly after each course and as more guests arrived it did get a bit noisier, but not too bad! Most definitely we will return for those scallops and recommended to others as a fine dining experience. Salads were priced fairly, the scallop dish was $30. We had no wines, so our full tab was was a little over $100 with tax and tip to be added-not bad for three people and a great meal! Great food, service and interior One of our favorites.